The Correct Nurse-Patient Ratio: Why it Matters | Nursing On Demand, Inc.
Healthcare institutions should always see to it that the right ratio between nurses and the patient they are caring for are maintained at an appropriate level. Having the right nurse-patient ratio doesn’t only comply with what’s prescribed in the law, but it also promotes safety in the healthcare profession. Furthermore, healthcare institutions should not only have the right number of nurses who can render bedside care. See to it that supervisory and staff personnel in every ward or department are available to ensure proper skills mix to improve the delivery of care and to promote a culture of safety not only for the patient but also for everyone. Short staffed units often experience higher incidence of falls, medication errors, nosocomial infection, haphazard procedures, and to a very serious extent, patient death. Short staffing will definitely result to poor delivery of care services where the safety of patient is compromised. 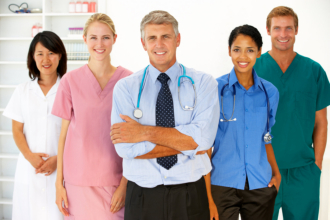 Nurse Staffing Agency in Jacksonville FL can be tapped if you have troubles filling shift gaps. A well-staffed facility, which is supported by Medical and Health Staffing Recruitment Agency, will let patient have a satisfying hospital experience. Through this, nurses can attend to their needs swiftly. Patients are assured to get unsurpassed nursing care that’ll hasten their recovery. For instance, a patient cared by a nurse handling only three patients can expect that all their physical demands will immediately be attended to as opposed to those patients whose nurse is also caring for 5 or 6 more patients in the ward. Nurses are expected to prioritize and attend the needs of those in a life-threatening event than to those with less life-threatening needs. Nurses who are assigned to care for a big number of patients often experience burnout. Burnout results to ineffective delivery of care services, poor performances, less compassion, and a whole lot more. It can severely affect the dynamics of patient satisfaction too. Burnout is also the reason why there are facilities that are experiencing high attrition rate among its nurses. If your goal is to provide satisfactory healthcare experience for your client, then you must not only focus on technological tools and skills adequacy of your staff. You must also take into account whether the correct number of manpower is manning your healthcare institution. This is where Nursing on Demand, Inc. can be helpful. This will allow you the opportunity to deliver quality results to those patients who come to your institution for medical help. If you will play deaf and blind to the problems related to short-staffing, your business may run into trouble. This is possibly the least thing you’d ever wish. Thus, create and maintain an environment where the correct ratio is a win-win solution for everyone. This entry was posted in Nurse Staffing Agency and tagged care services, delivery of care, Healthcare institutions, MD and Therapist staffing services, Medical and Health Staffing, Medical Recruiting, Nurse Recruitment, Nurse Staffing, Staffing. Bookmark the permalink.